I’m so jealous of my quilting friends who get to stay inside and sew all day on a snow day. We’ve had way too many of those lately, and I usually have to entertain some munchkins. I’m starting to get a little grumpy about it. But there is a lot of winter to go, so I try to stay positive and admit that there never is enough time to sew, even without snow. And I’m cutting into some new fabric for a commissioned baby quilt. It includes some delicious shot cotton, some classic prints, dots, stripes and branches in blues, chocolate browns and sage green. My upbeat reggae soundtrack has given in to a Radiohead phase. I’m trying to stay Optimistic. 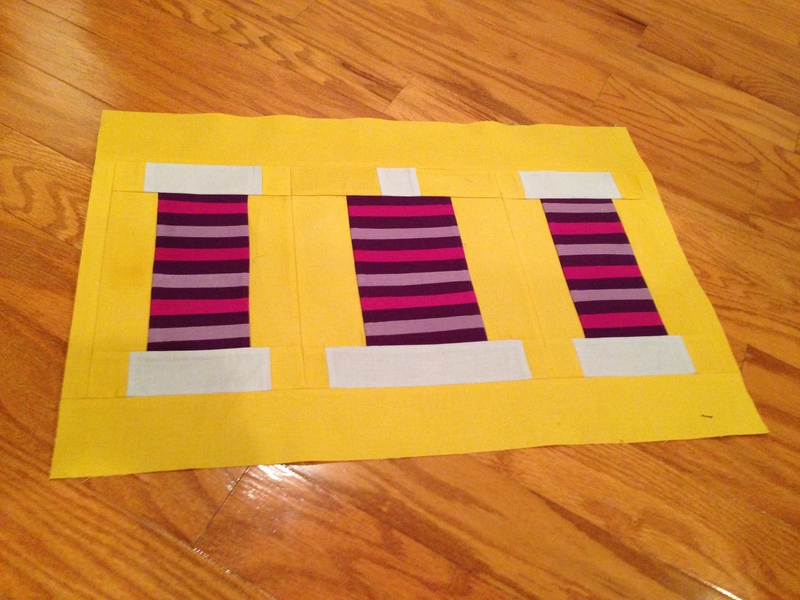 Love the stripey spools and an interesting fabric combo for the baby quilt!